SAN FRANCISCO (Reuters) - Apple Inc (AAPL.O), which has resisted pressure from U.S. law enforcement to unlock encrypted iPhones, this month rehired a top expert in practical cryptography to bring more powerful security features to a wide range of consumer products. Jon Callas, who co-founded several well-respected secure communications companies including PGP Corp, Silent Circle and Blackphone, rejoined Apple in May, an Apple spokesman said. Callas had worked at Apple in the 1990s and again between 2009 and 2011, when he designed an encryption system to protect data stored on a Macintosh computer. Apple declined to detail his new role, and Callas declined to comment. 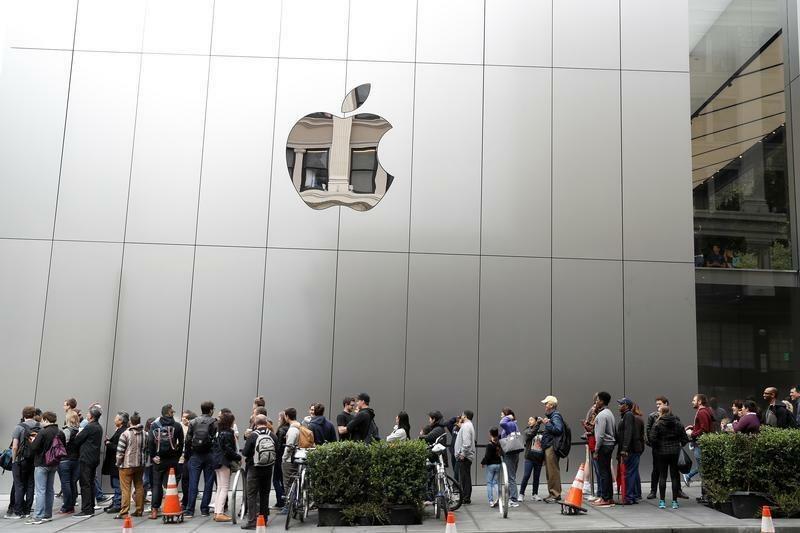 The Cupertino, California-based company has clashed with the U.S. government over whether Apple should help law enforcement access encrypted customer information stored on its devices. Earlier this year, the U.S. Department of Justice asked federal judges in California and New York to force Apple to break into locked iPhones, including one that was used by one of the shooters in last year's attacks in San Bernardino, California. The cases were dropped after the authorities managed to access the iPhones without Apple's help, but the political debate over encrypted technology continues. The FBI and law enforcement maintain that tech companies need to help the government hunt criminals. Apple and other tech companies say that requiring them to circumvent their own encryption would undermine the security of their products and make them more vulnerable to malicious hackers. A Senate committee, meanwhile, is mulling legislation to require companies to help law enforcement agencies bypass encryption. Callas has said he is against companies being compelled by law enforcement to break into their own encrypted products. But he has also said he supports a compromise proposal under which law enforcement officials with a court order can take advantage of undisclosed software vulnerabilities to hack into tech systems, as long as they disclose the vulnerabilities afterwards so they can be patched. "Jon is someone who has deep appreciation of all sides of the story," said Phil Dunkelberger, who was chief executive of PGP Corp and its predecessor PGP Inc, which invented a system for securing email. Callas' return to Apple shows how encrypted communications are going mainstream. Silent Circle protects phone calls from eavesdroppers and Blackphone sells a mobile phone that is very difficult to hack. Both companies are small but well regarded. Apple has said it would continue to increase the security of its products. Companies including Facebook Inc's (FB.O) WhatsApp messaging service have also implemented encryption that makes it harder for law enforcement to access digital information. "It has always been Jon's dream to bring the most secure products possible to a bigger population," said Mike Janke, who co-founded the secure email company Silent Circle with Callas.